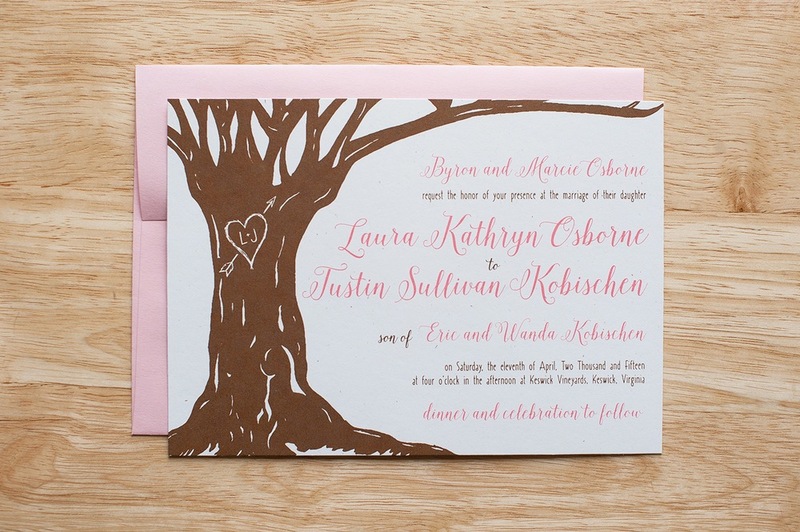 When Laura and Justin came to us, they knew their wedding location, Keswick Vineyard, had a beautiful oak tree they would marry under. 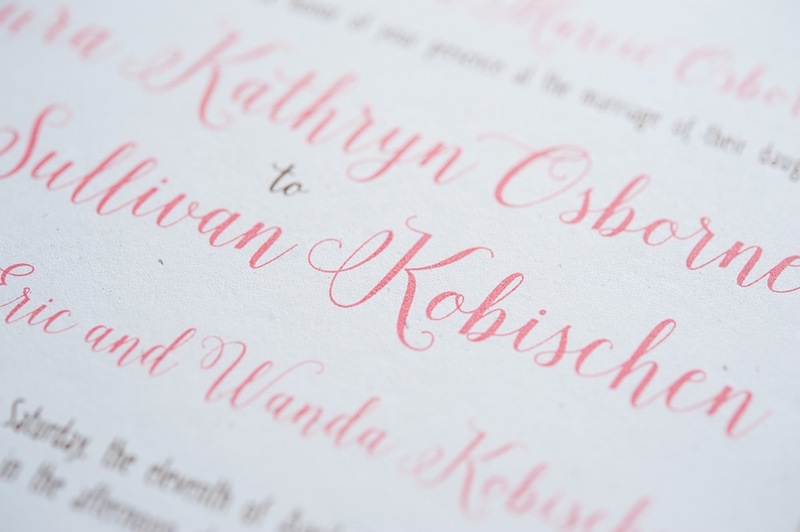 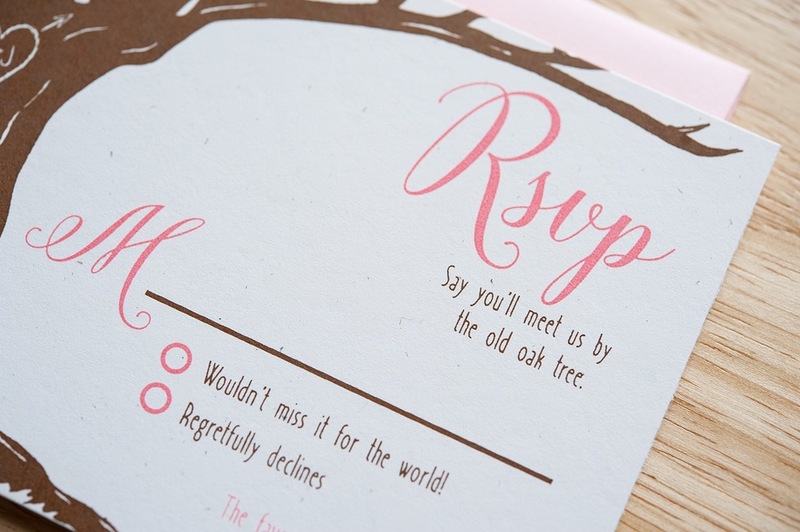 With their desire to incorporate the oak tree and the color pink, we went to work creating a romantic, spring-inspired invitation and RSVP card. 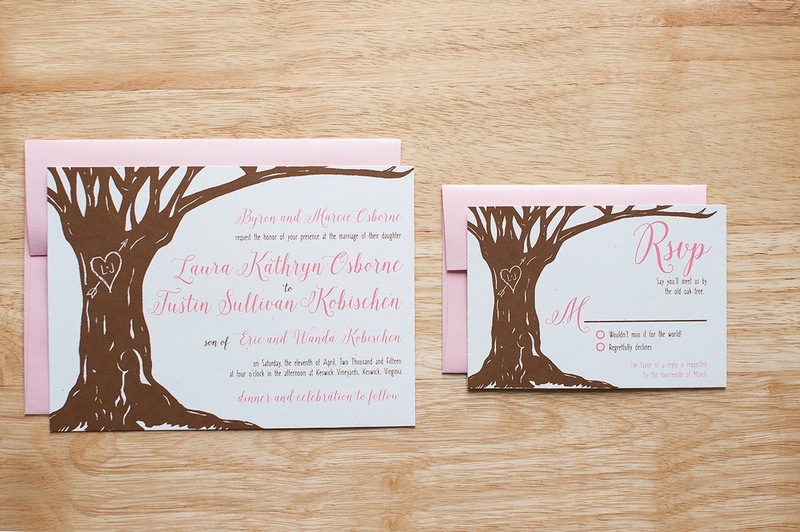 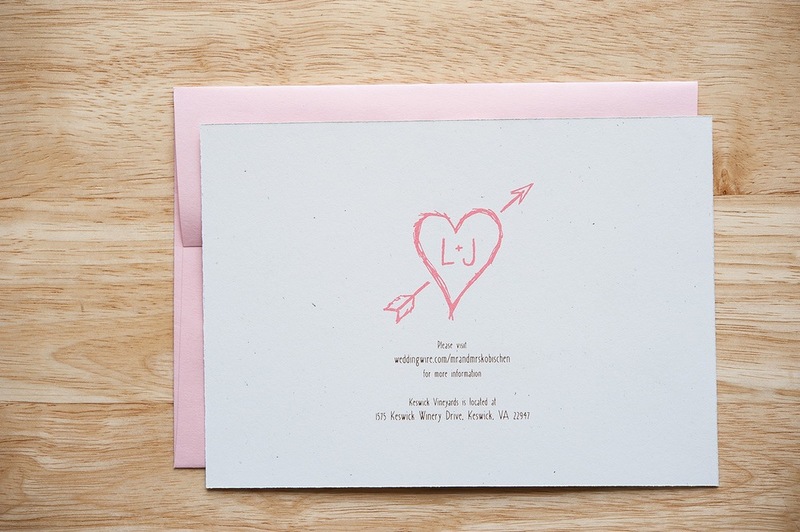 Of the many personal touches we put into Laura & Justin’s stationery, our favorites are the carved heart with initials on the oak tree and the verbiage on the RSVP card.